A customer of independent garage, HSC Auto Centre in Gloucester got more than they bargained for when they completed a customer feedback form after their car was serviced. Sally Standing is the winner of a TomTom navigation system after 28,329 motorists were entered into a Good Garage Scheme prize draw by their local garage. 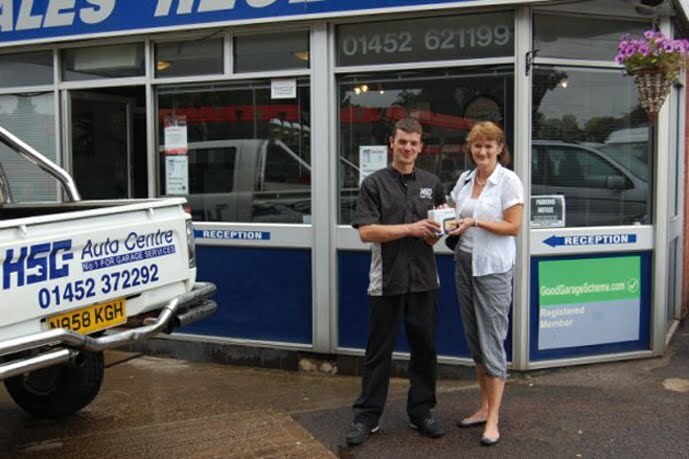 HSC Auto Centre has successfully maintained a five-star customer rating since joining the scheme in 2007. The next Feedback prize draw competition will be launched in October to lead up to Christmas. A winner has also been drawn for the Facebook Prize Draw, which took place over June and July, and will be announced shortly.